While at the latest TriState HRMA dinner meeting, I sat in awe watching the evening’s speaker, Jonathan Segal Esq., flawlessly cover the topic of Systemic Harassment. One of the phrases that stuck out from the crowd was that of “Micro-aggression”. Jonathan went on to explain that this term refers to “a non-legalistic jargon of subtle or indirect harassment”. It is here that I state the obvious but necessary disclaimer – nothing you read here is to be considered legal advice or endorsements of any kind by Jonathan or his employer. All are simply my thoughts. In fact, I only mention him because his knowledge on topic was so impressive and his use of the word “micro-aggression” made a professional connection with me …and boy was he funny! Micro-Aggression: A New Breed of Bully? The term itself reminds me of the numerous, and unfortunate, times that I’ve heard employees claim to be verbally abused or “bullied”. A topic that I’ve written about and discussed with employees on countless occasions. Micro-aggression indeed. In a world of increasing awareness on harassment related words, actions or intentions, the objective is to recognize and be sensitive to ANY potentially harmful activity…especially while at work. Not a new concept, but one needing to be discussed in any employer, leadership or workplace capacity. How often do you find yourself in a conversation with a bully? I’m not talking about someone physically pushing you around – I’m talking about the bully that wounds with words. Pushy abrasive types usually KNOW they’re being a jerk. The dangerous ones are the unintentional bullies that are completely unaware of how much power their words actually wield. They tend to exercise control over conversations by insulting, hurting or belittling the person they’re speaking to, without the intention or the realization that they have. I call them “Bullies by Tongue”…and now, thanks to Jonathan, we know they have an official name in the employee relations industry. You’re not a micro-aggressive bully are you? It’s important to know how to tell. The Disrespectful Bully speaks without thinking. This type of offender often blames (or pretends to) the fact that they’re joking. They’ll make excuses and rarely take responsibility for hurting someone because, after all, there were “just joking”. A clearly passive-aggressive form of verbally hurting people, this bully might even turn the blame onto to victim, whose pain tends to build as they fall prey to self-doubt. The Hard of Hearing Bully is the one I get the most complaints about as an HR professional. For some reason, this type seems to think that if they speak AT you rather than WITH you, you’ll hear them more clearly, or perhaps follow their instructions better. Let’s face it, they simply shout with the intent to use intimidation or fear to motivate others. The longer this bully’s tactics is successful, the more often they’ll use it. The Helpful Bully actually believes they’re giving sage advice. Off-putting phrases make people uncomfortable and create a negative platform for whatever conversation follows the opening statement. Ask yourself…have you ever started a sentence with these phrases? If you find yourself having said ANY of these, find an alternative way to communicate a strong opinion by beginning the sentence with intentional diplomacy and sensitivity. For detailed examples on why these statements are deemed micro-aggressive (and how to remedy them), make sure to check out Are You a Conversational Bully? I hope to leave you with food for thought. Should you recognize yourself in any of these bullies by tongue, take an inventory of your communication practices and/or that of your co-workers. Employment law continues to define and defend these serious, even when unassuming, offenses. 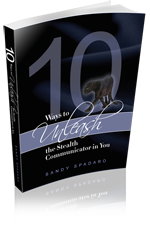 Become aware of your own messaging without allowing an inner bully to lash out. You can always invite a professional to speak to your management group. Gossip in the Workplace, Friend or Foe? Ever notice how much you can learn from a balanced perspective? The best insight comes from an opinion swap that looks at the same thing, from different perspectives. Sandy and Howard, both marketing professionals with an array of practical business knowledge, take on the challenge of discussing marketing strategy and implementation with two microphones and a chess clock (literally!) that keeps fair time between one big personality and the next.